I’ve already went over, in several other reviews, the gladness I feel when electronic music shows emotion, so I won’t make any more mention of that. 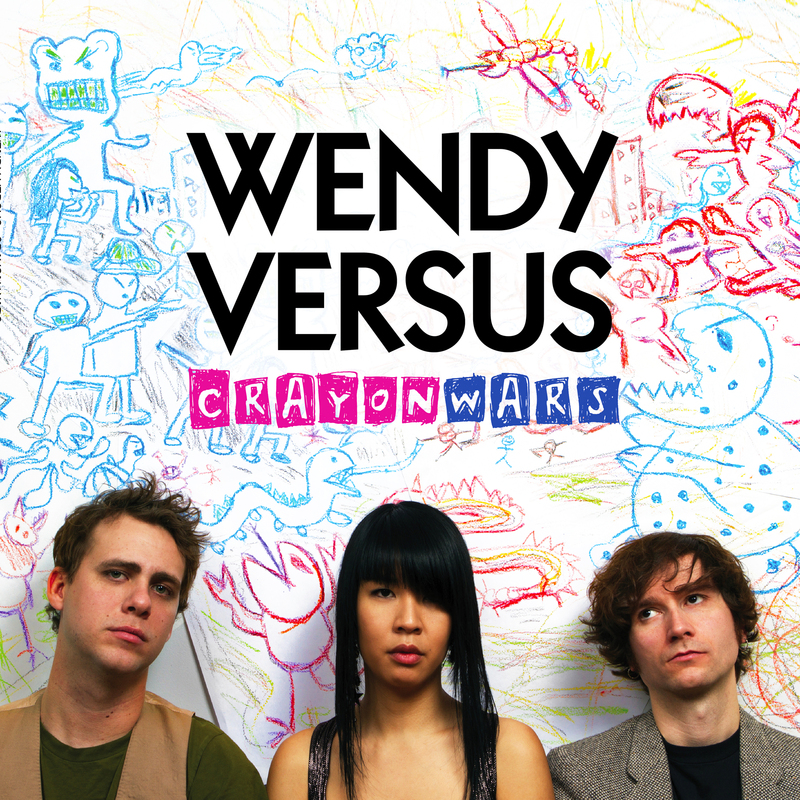 But I wasn’t expecting what I got from Crayon Wars, the latest recording from Wendy Versus. For those of you in the know, Wendy Versus is an electronic pop project headed by Wendy Leung, the keyboardist from Toronto band Papermaps. Dean Marino, Papermaps’ lead singer, is also involved with the band, albeit in a background role. Despite its colourful name (and a press photo that reminded me of Scott Pilgrim), Crayon Wars is actually for the most part an emotional, even sombre affair. This isn’t a bad thing at all- just unexpected. So what can be expected upon listening? Lots of electronics, for one things, whether they’re in the form of fuzzy beats, blips, or the rolls of a drum machine. There’s also a fair bit of guitar. The electronics are manipulated in many different ways, such as in the standout “White Noise” that ends up sounding almost tropical, or at the very least exotic. Another unexpected good to come out of this album is Leung’s voice. She sings in a lower register than many female musicians I’ve listened to, and it allows her to do great things with her art. In “Juliana,” for example, Leung reaches some wonderful high notes. Despite the sombre overtones, the album reaches some epic heights. In “Control,” the pounding of drums along with Leung’s vocals make for a powerful tune. “Open My Eyes” features some ominous piano and guitar chords and even breaks away from the electronics for a minute and rips into a crunchy guitar solo. Underneath the synths, drum machines and guitars, Wendy Versus has a big, vulnerable heart. And it’s impossible to not appreciate that. Crayon Wars will be released June 1st via Bandcamp, but for the time being you should definitely check out the single “Control” below. Michael Thomas is the founder of Grayowl Point and a Canadian music fan currently living in South Korea.